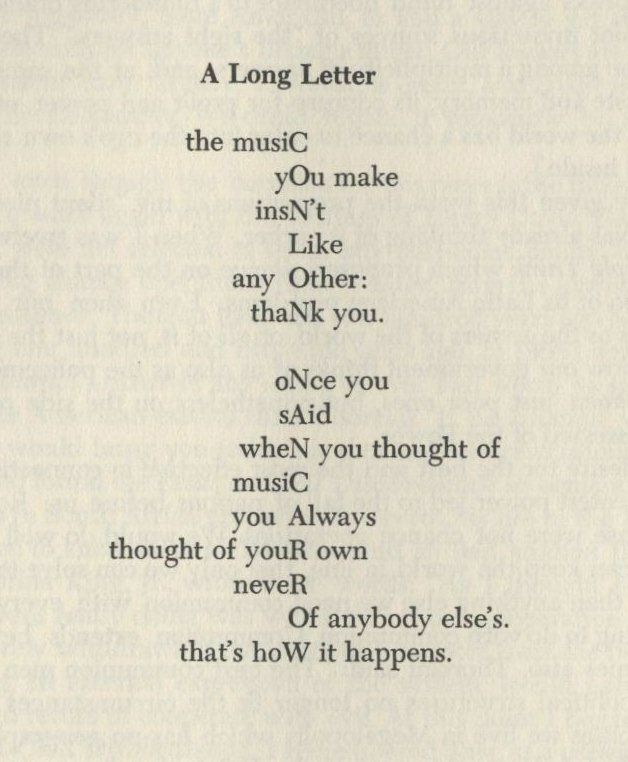 the musiC/yOu make/insN’t/Like/any Other:/thaNk you. Cage is either a yes or a no, depending on your particular philosophy. He’s a through-the-looking-glass figure in American history. Once you find him and try to understand, you can’t go back; you can’t arrange a musical life without him. I’ve written about his role in my life before. 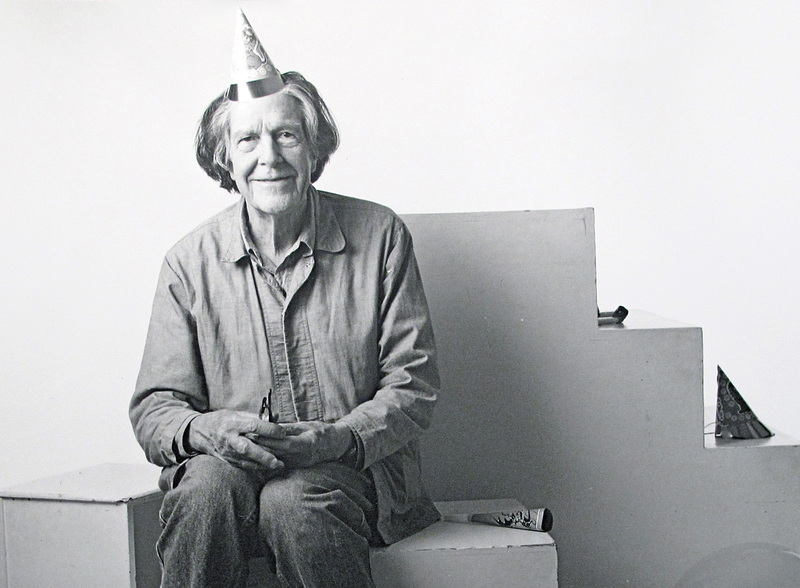 I am chagrined to report that Kansas City does not seem to be doing much to celebrate the 100th birthday of John Cage on September 5, 2012. There are a few events happening, though, and I hope you all have a little something planned, if only enjoying a mushroom omlette and hiding stuff in soundboards. Rev. Dwight Frizzell is featuring Cage and Cagean concepts during his radio show From Ark to Microchip on KKFI 90.1 FM on Wednesdays at 12:30pm during the month of September, starting on Cage’s centennial. And there are rumblings that PLBB will formulate some sort of activity at their monthly RecordBar gig on Sunday, Sept. 2, though no confirmation. But considering they pulled off a posthumous proxy wedding between the man and his cohort, Merce Cunningham, with the ceremony set to Michael Jackson lyrics – whatever happens will be memorable. Also, Sō Percussion , who have performed, recorded and promoted Cage’s 100th all year, will be at KU’s Lied Center on October 18th. I am, perhaps unimaginitively, co-throwing a birthday party for the old coot. It’ll be your standard-fair birthday bash, what I hope will turn into a whimsical happening that caters to the crowd that will, perhaps, carry on Cage’s bouyant sense of curiosity and invention: children. Of course, adults are welcome, too, but let’s do something fun, something not too serious, something that involves cake and no academia. So on Labor Day, Sept 3rd, 2012, come down to Loose Park at 1pm. Look for balloons somewhere between the tennis courts and Rose Garden. 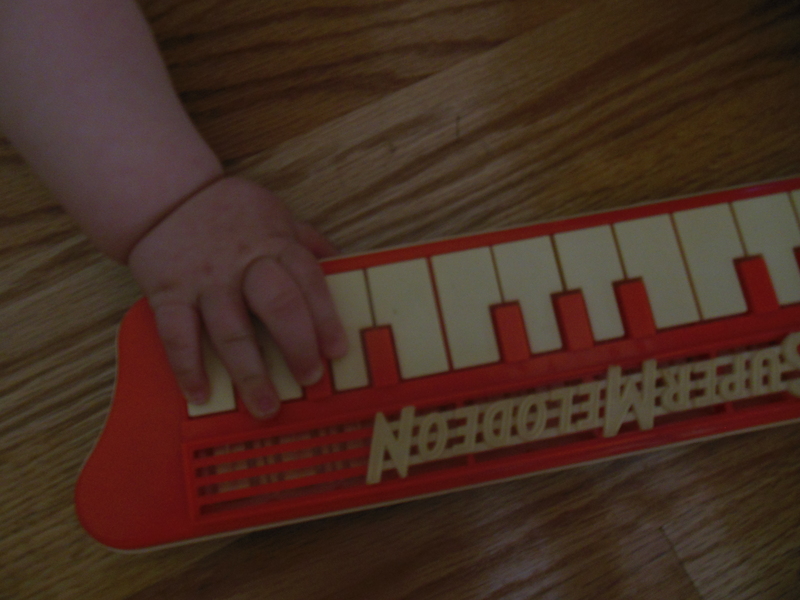 I’ve asked people to bring some toy instruments and join me in a performance of 4’33”. Be told: There will be bubbles, balloons, toy instruments, and cake. There will be fun. This is happening. Kawsmouth, Issue 5: Men’s ties $1.00 ea.